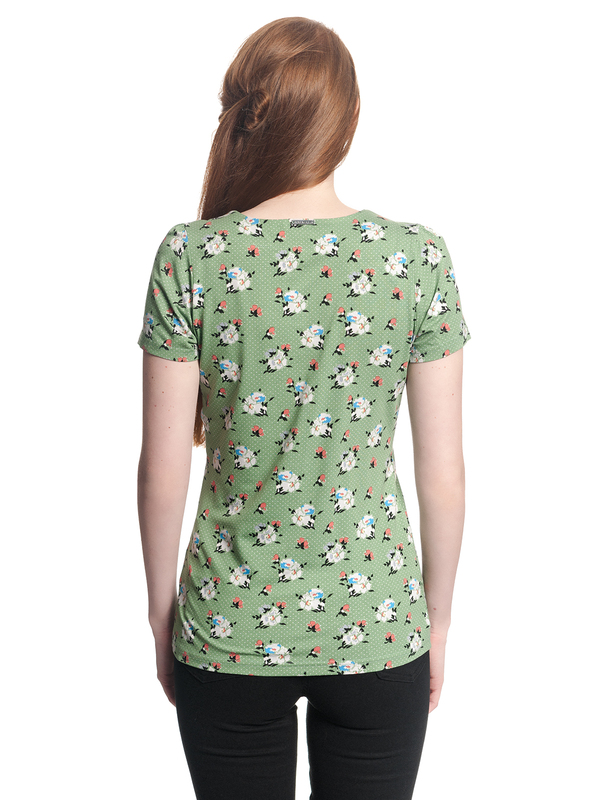 With Vive Maria's Sweet Memories Shirt we are ready for summer. 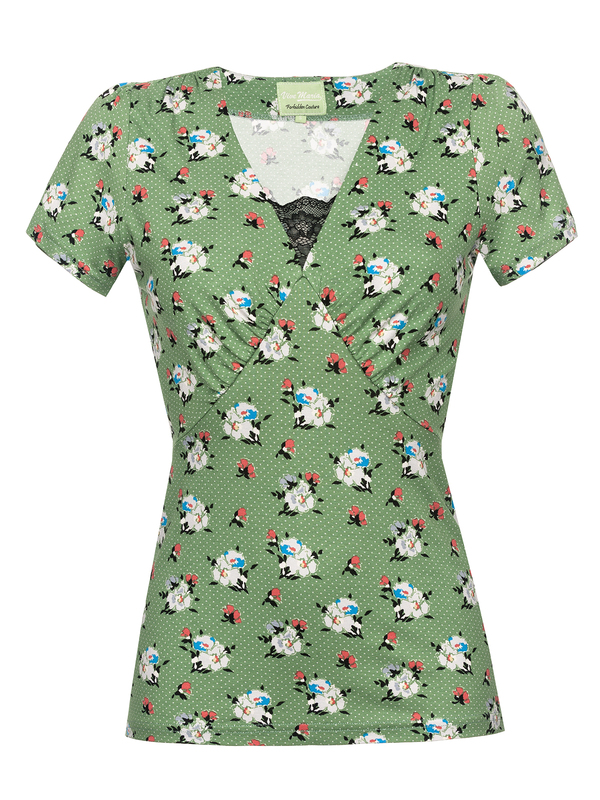 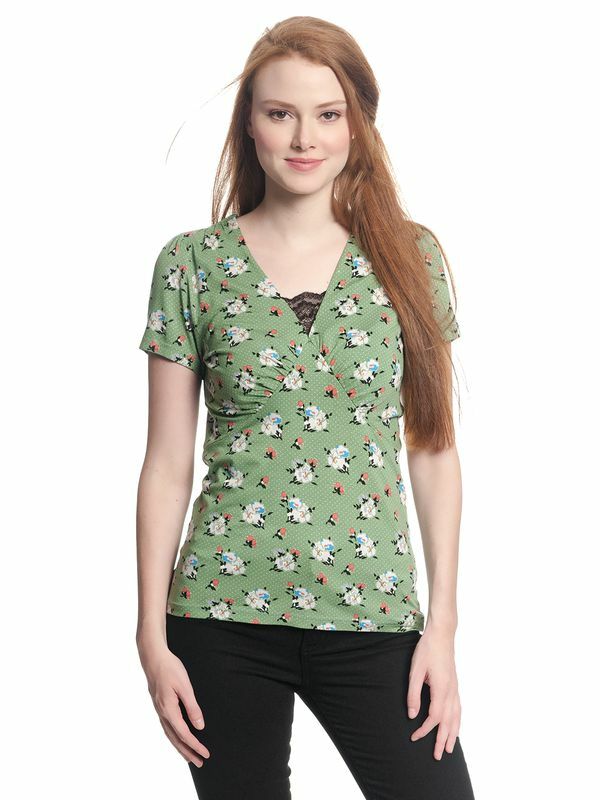 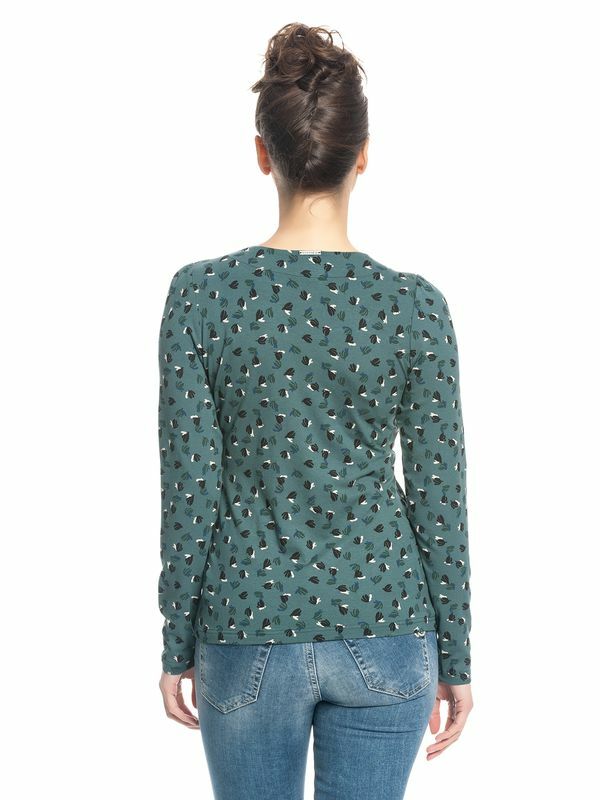 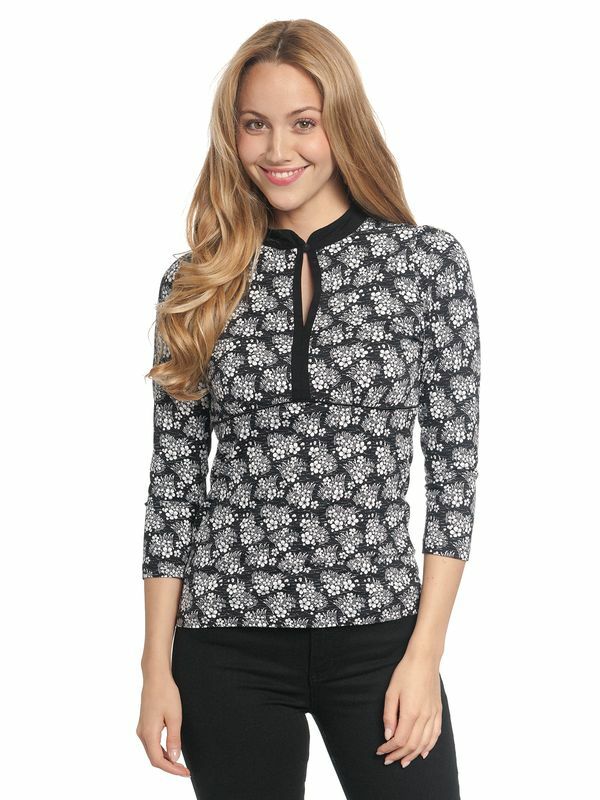 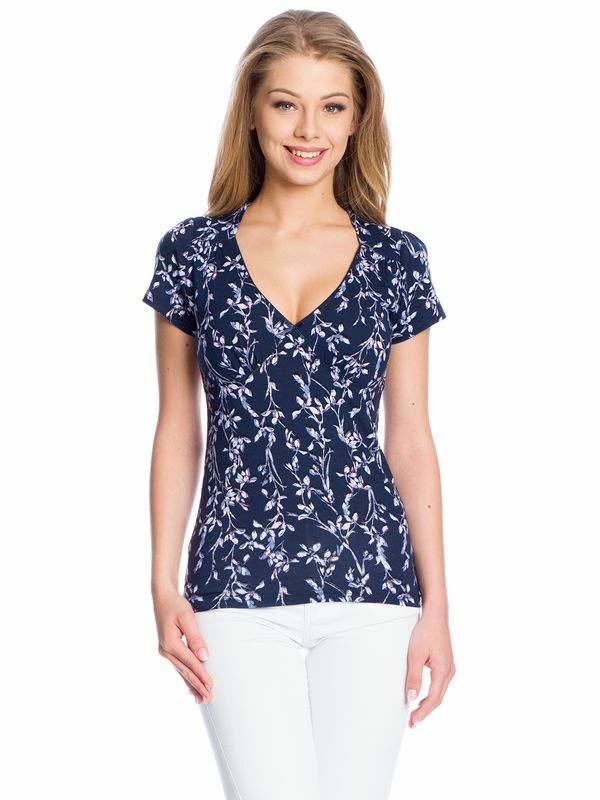 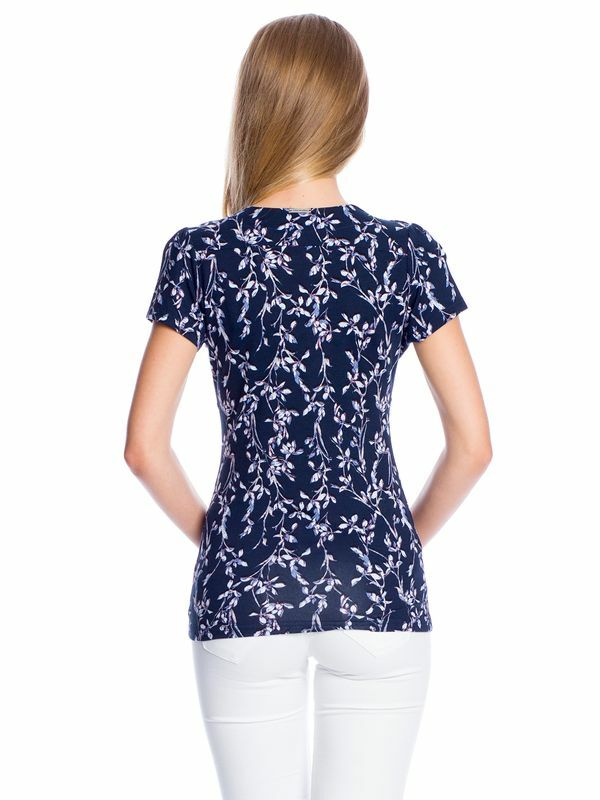 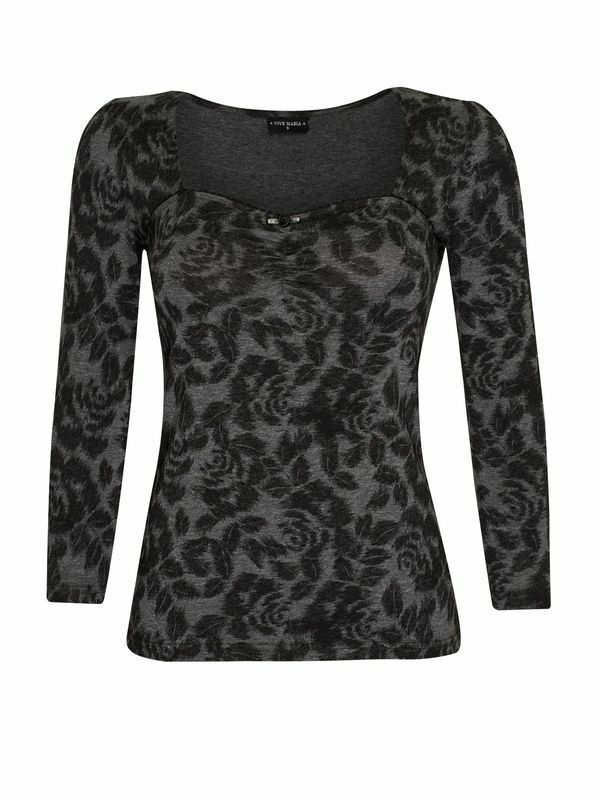 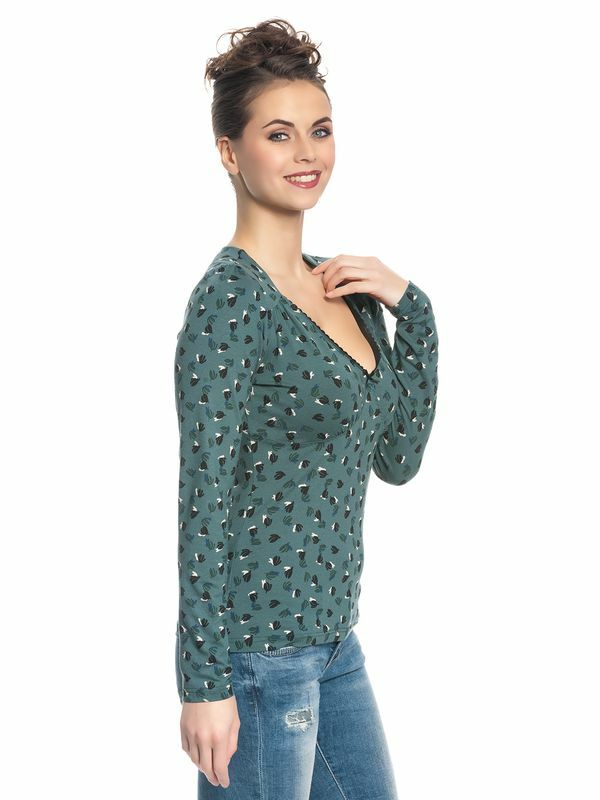 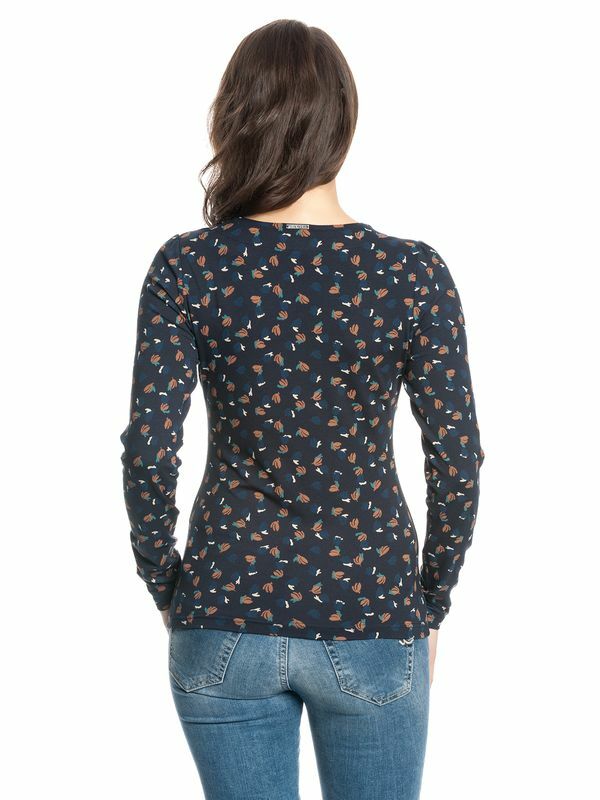 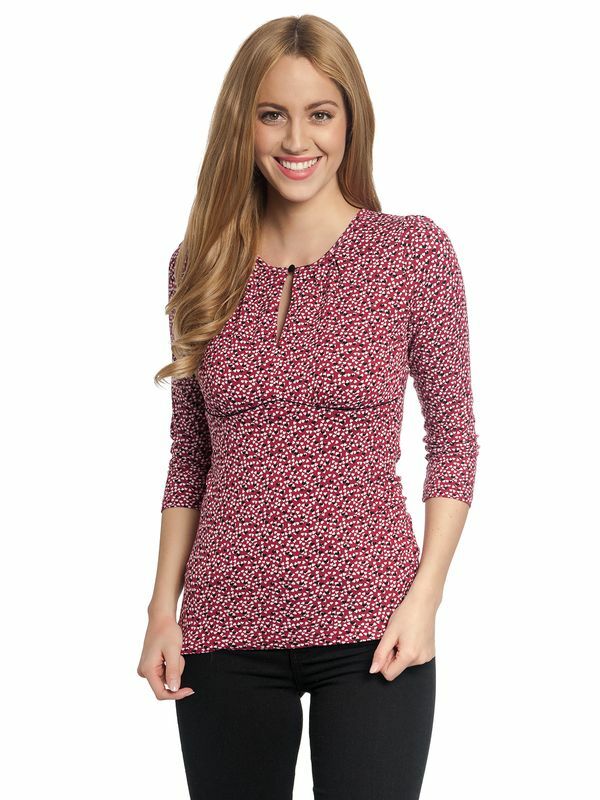 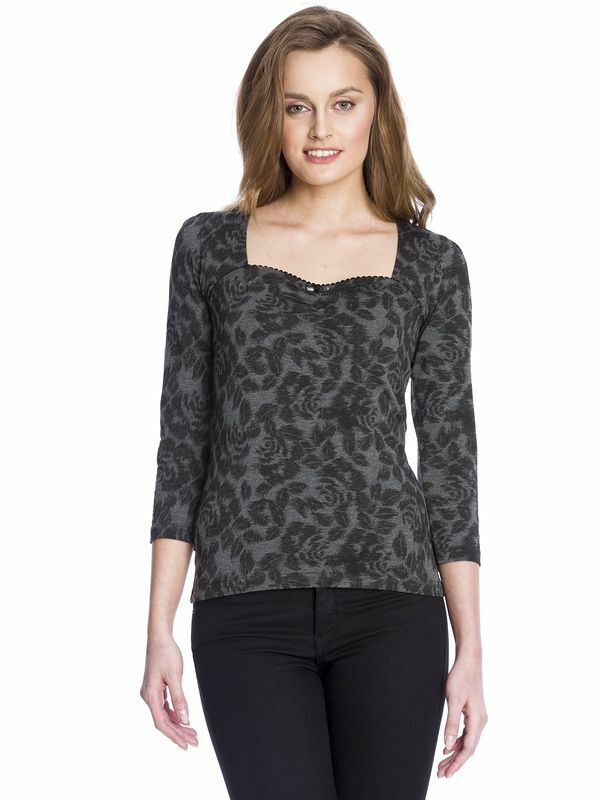 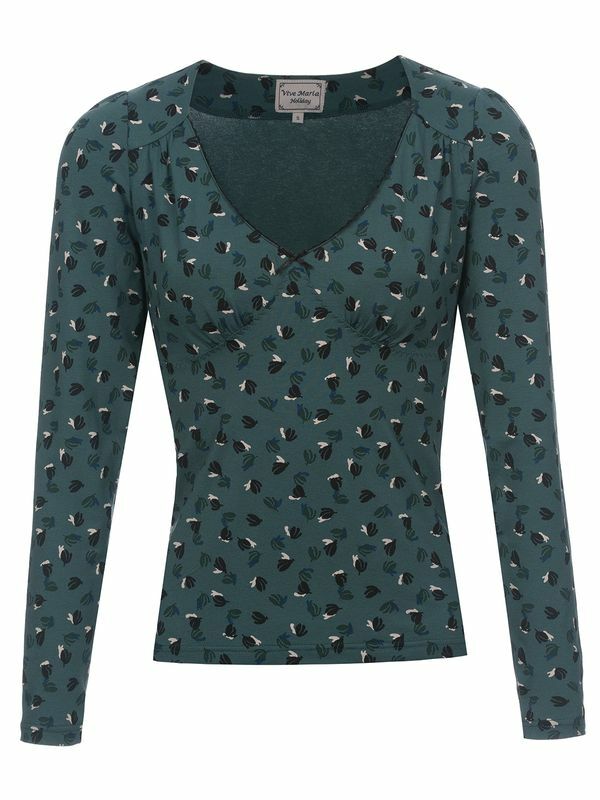 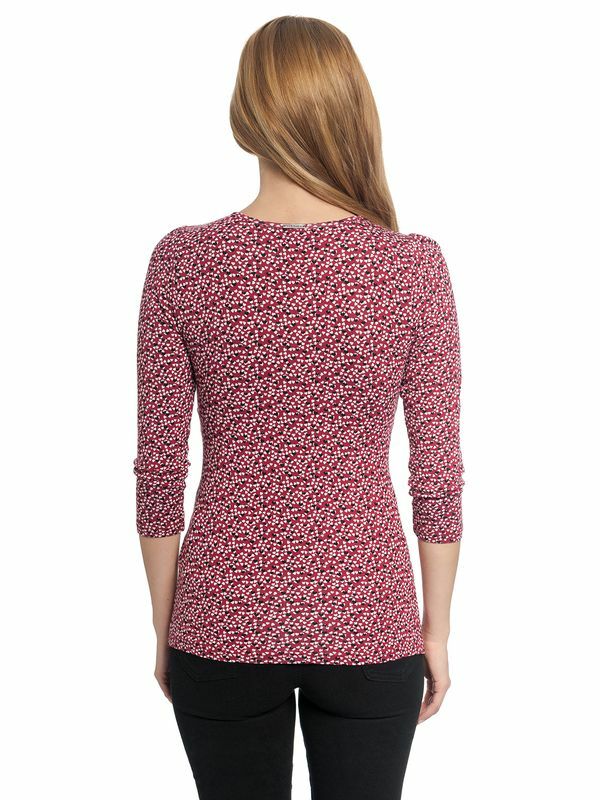 The shirt has short sleeves and comes with a stylish flower allover-print. 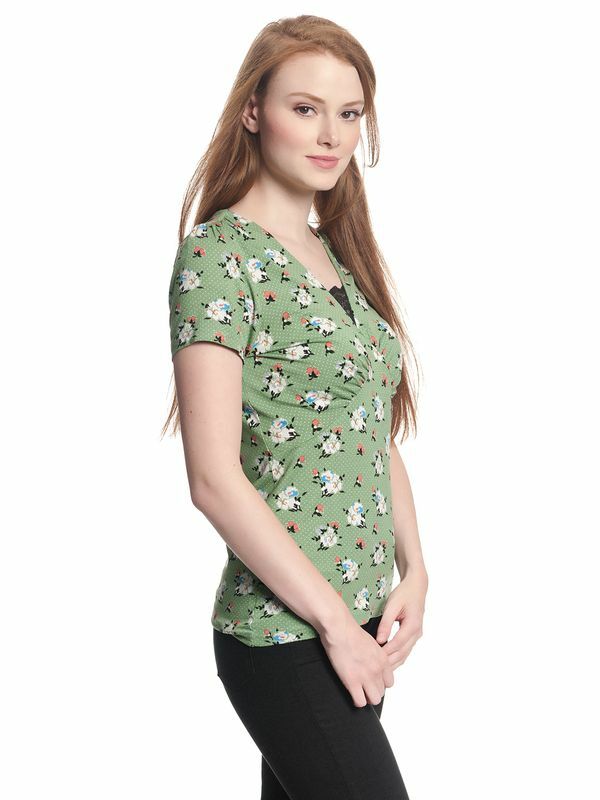 It is made of a super soft viscose material mix. 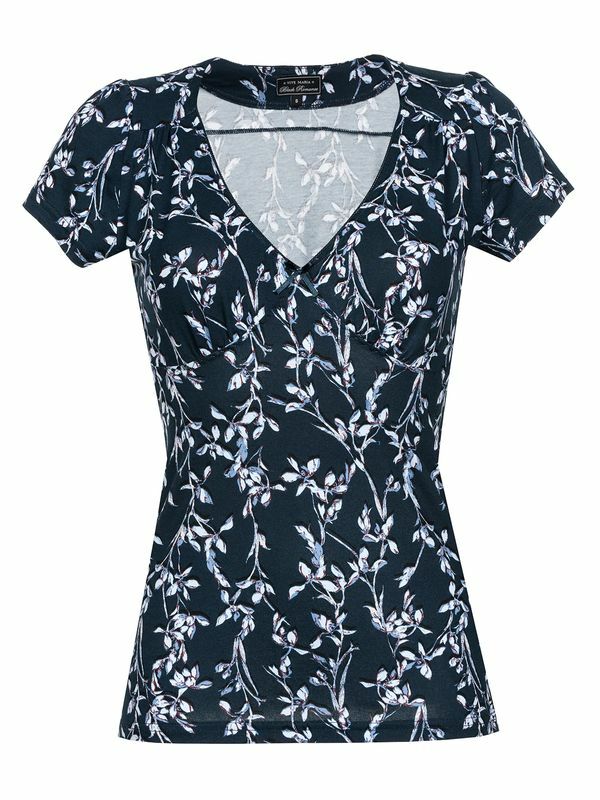 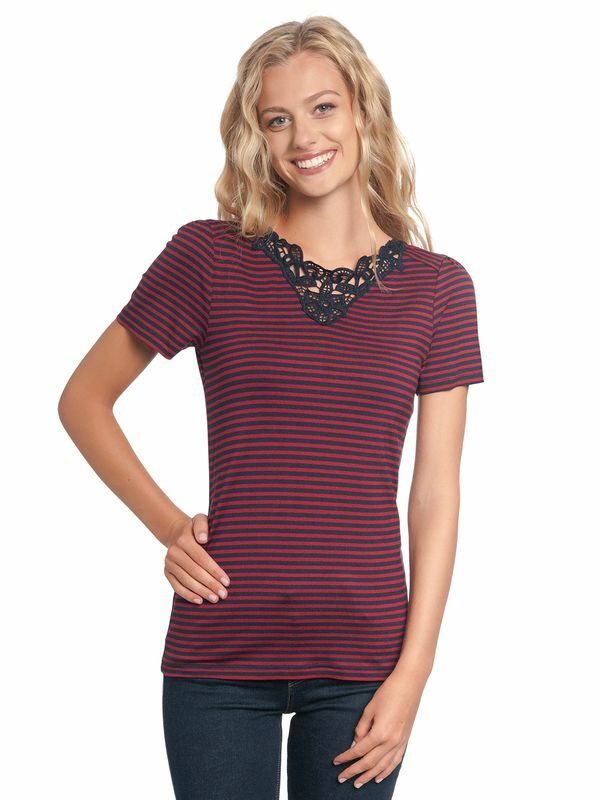 The deep neckline is decorated with a beautiful crocheted lace insert. 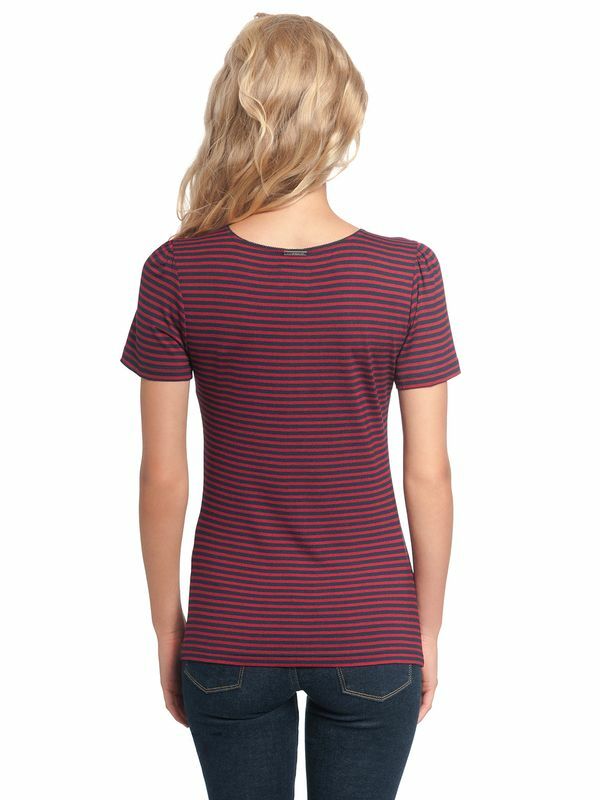 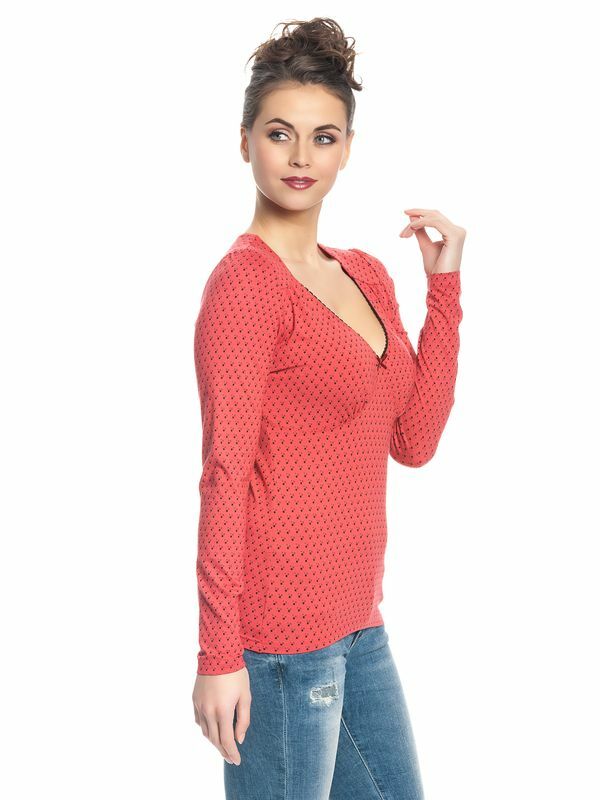 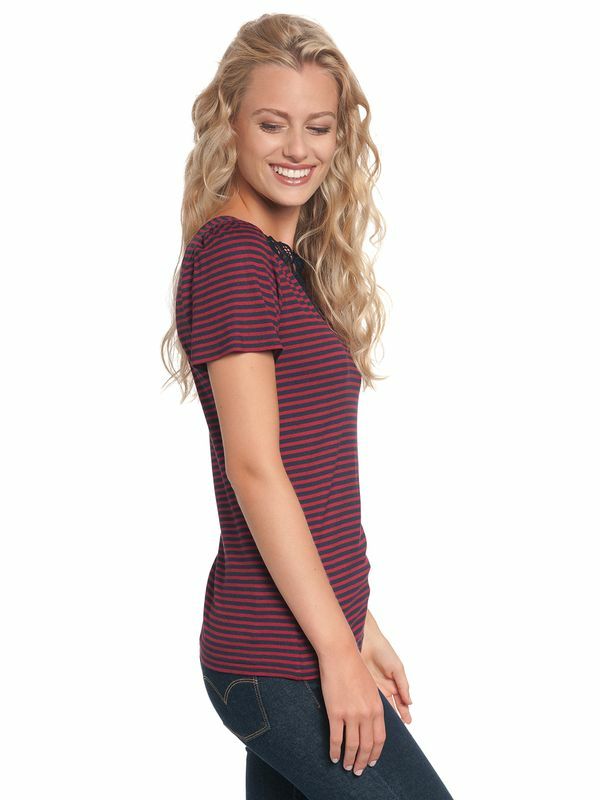 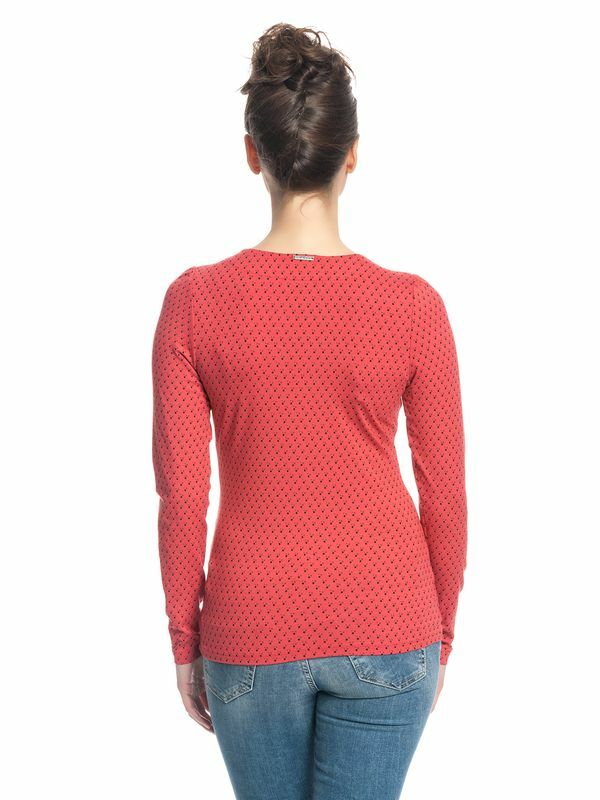 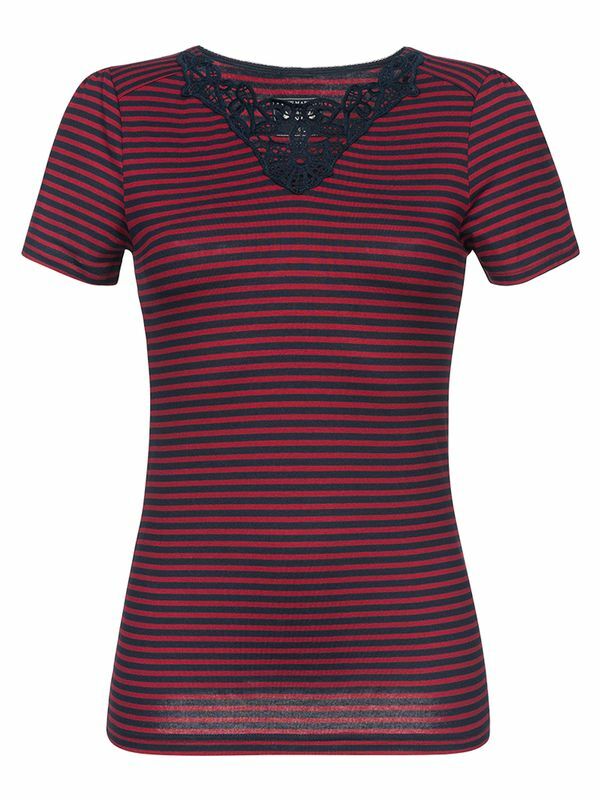 The short sleeves are slightly puffed and end in crotched sleeve hems. 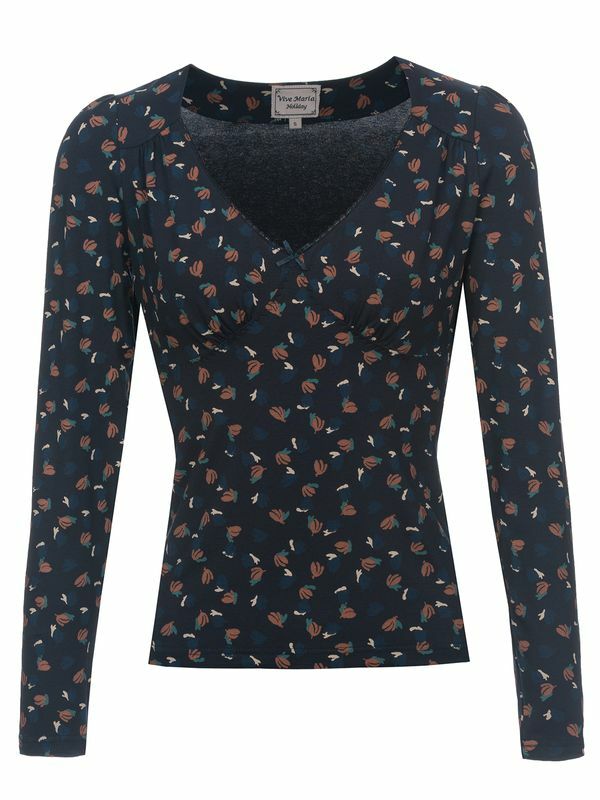 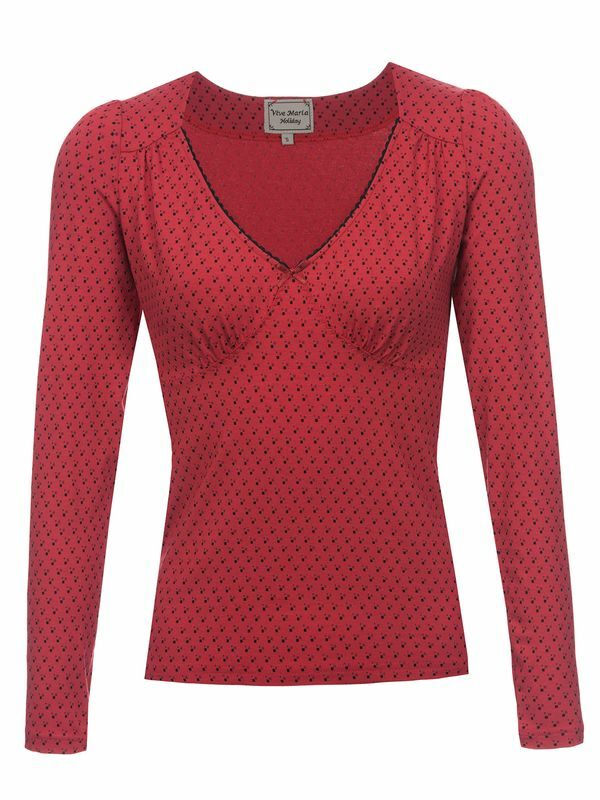 An underbust seam adapts beautifully to the female figure.